I saw The Undress and decided that I could make something similar for less. At the time they didn’t have a petite size and I also did not like how the sides sag. So with my $2.99/yrd fabric from Fabric.com, I made version D without the overlapping high-low hem. My casing was too tight for the 1 inch elastic required, so I had to use 3/4 inch elastic. It rolled so much that I had to put vertical stitches in to anchor it down. I made it a halter and used a cord lock to adjust the neck tie. 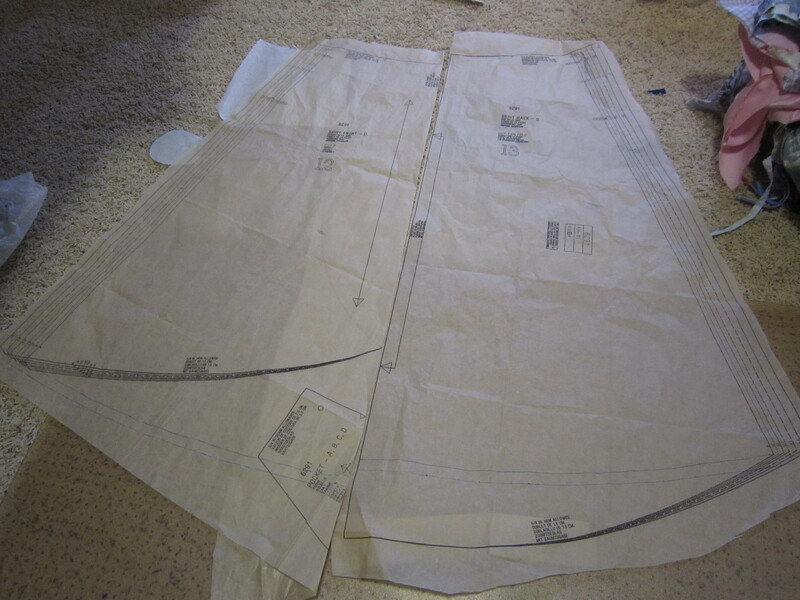 My fabric was lightweight so I cut 2 pieces of front bodice for more coverage. Instead of making a casing for the waist elastic, since it was such a pain to thread through the top, I just sewed the elastic onto my seam allowance. I left openings along the side of the skirt low enough to be able to pull up or drop bottoms without exposing my self by lifting skirt too high. 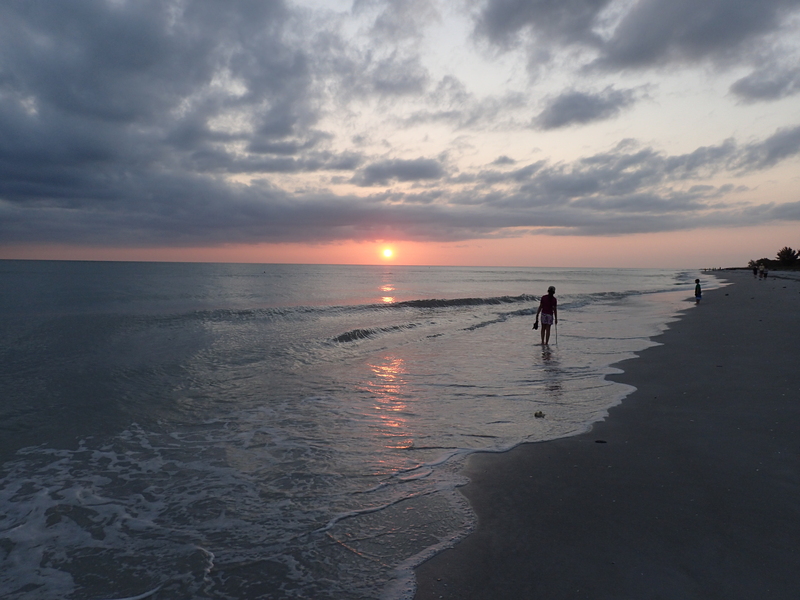 Overall, it was handy being able to slip off my tankini and then drop my shorts while standing in line without being indecent. Here are a couple pictures of the dress and finishes. The hem was serged and then blind hemmed “in the air” (the straight stitches do not go into the fabric). 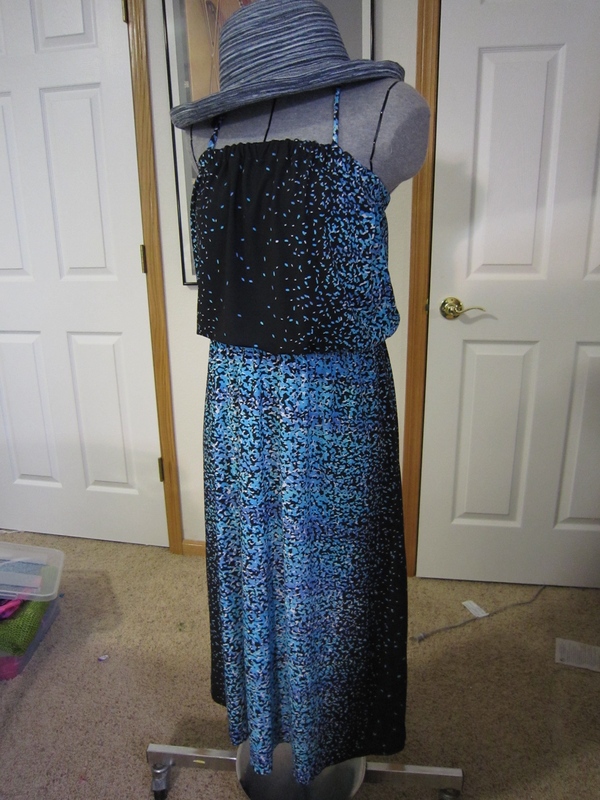 I also had to make the skirt all one length. 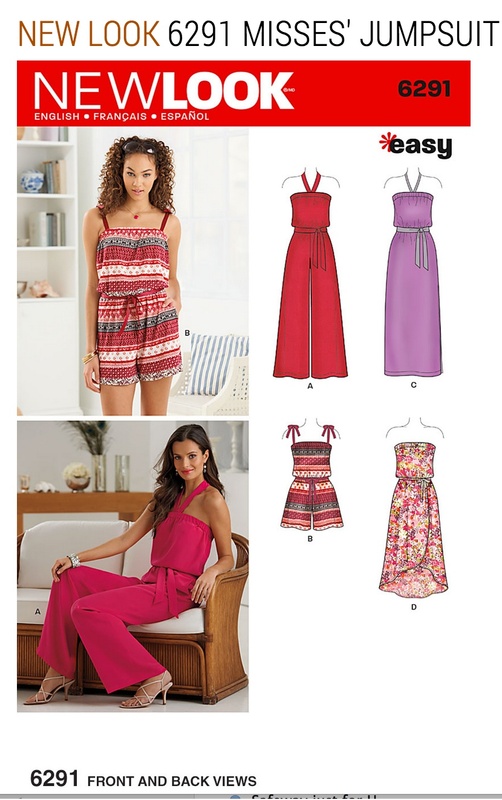 I chose D because it had a fuller skirt. When I made the spaghetti straps, I used the cord method. It worked great! 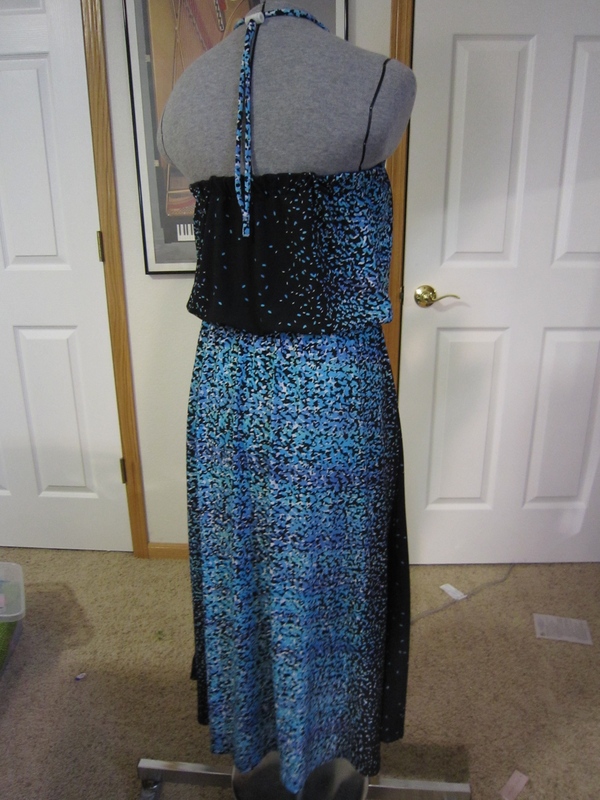 As for the fit in general, I need to lengthen the skirt more to make it go to the floor but ankle length was fine too. On my next attempt I will decrease the amount of ease in the bodice and then also shorten it by at least 1 inch since there was excess drape at the waist. I probably will adjust the front so that more of the gathers are in the back. 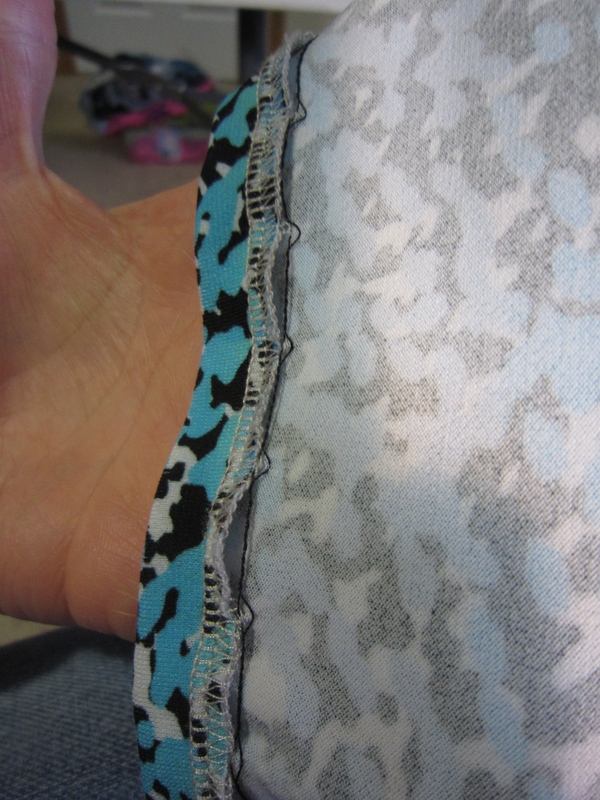 I have included a side photo that has the seam opening pinned wide otherwise it would have been hidden in the folds. I even had a hat that sort of matched! 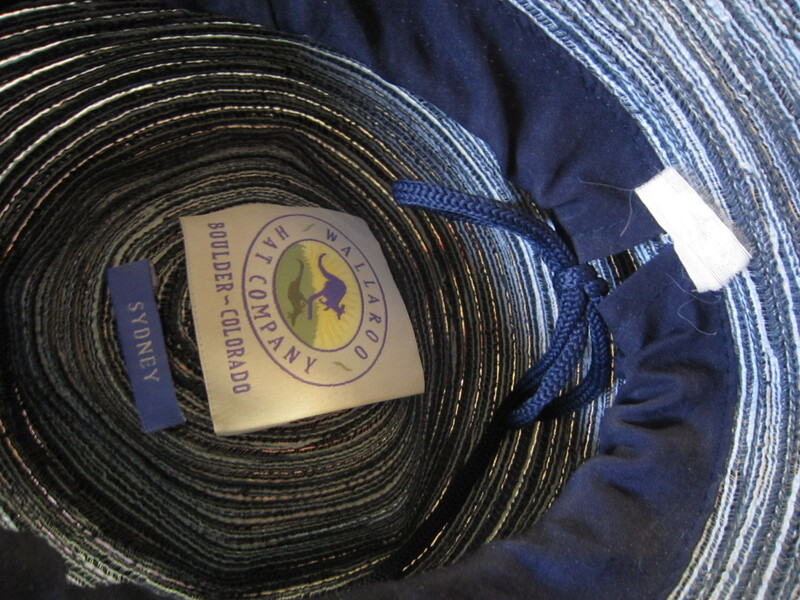 I love my Wallaroo hat since it is fully adjustable, packable, light, and washable. I also got a goody from eBay. 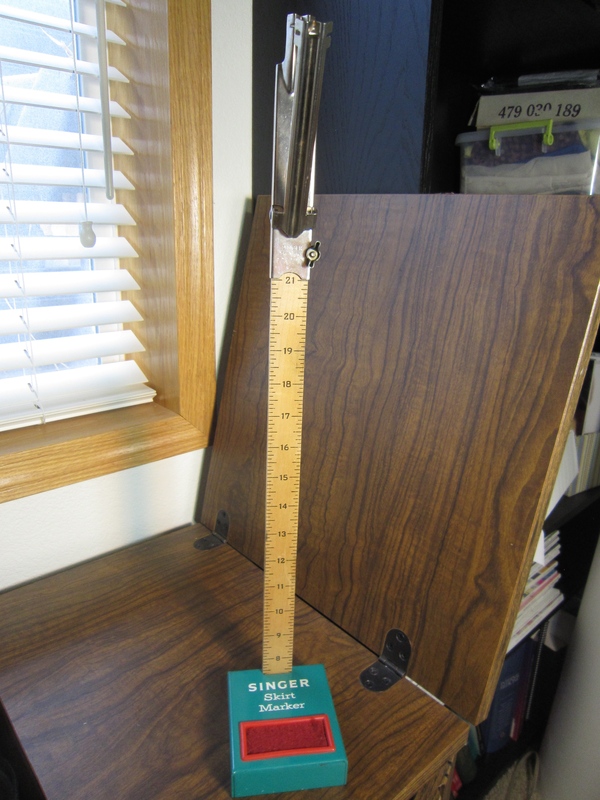 It is a Singer skirt marker. I was going to by a chalk marker from Joann’s but then decided not too after Sunni’s review of the skirt marker. I’m looking forward to using it someday soon. This entry was posted in Completed Projects, Sewing equipment, Sewing Projects. Bookmark the permalink.